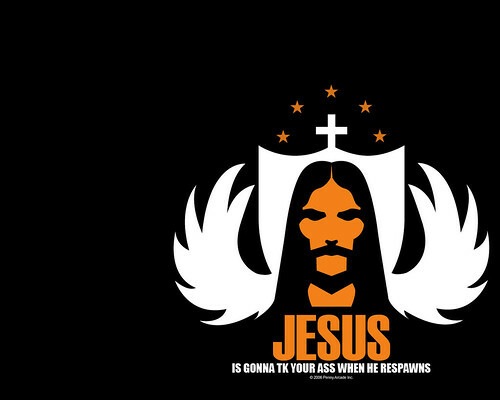 Jesus is Gonna TK You! Jesus is Gonna TK You!, originally uploaded by NiteMayr. Reposting this to promote Penny Arcade and my own wallpaper!